The last 6 months have been filled with a rather large art project for both Quinn and Devin. 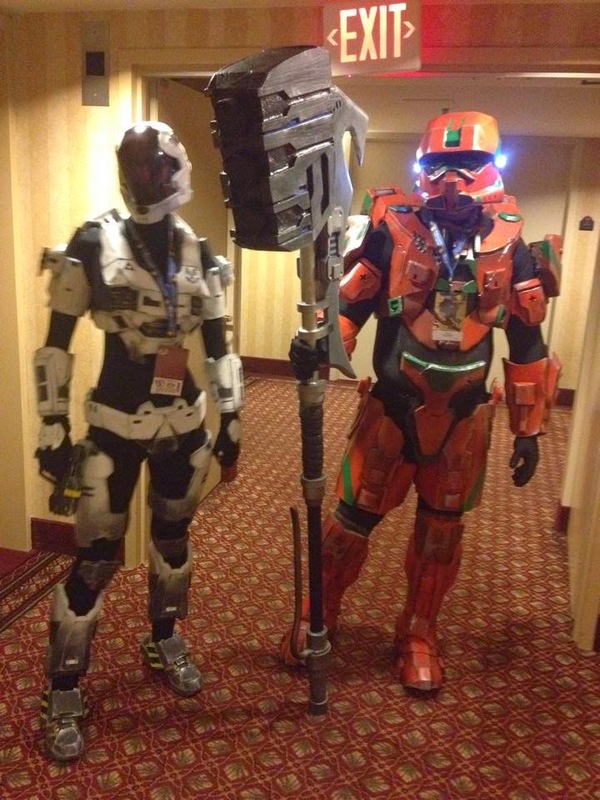 They decided to construct Spartan armor based of the video game Halo and wear it proudly at the Dragon Con convention in Atlanta. Journee went along to see the sights and take pictures. This past weekend was the big event. Here are some pictures, although I apologize they are not the best quality. They were snapped with a cell phone. 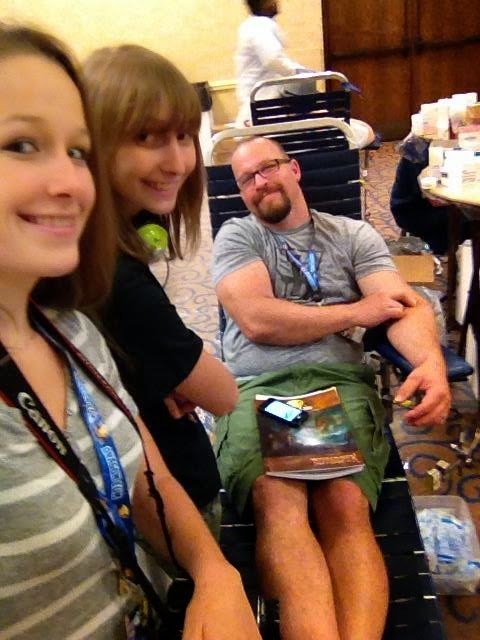 Upon arrival to the convention in Atlanta, Devin found Blood Assurance set up, so he happily gave a donation in exchange for a Dragon Con themed t-shirt. They made their suits from EVA foam. This is the type of foam you buy to place on your workout/gym floor. It comes in large squares and snaps together like a puzzle. They used a heat gun to shape it and glue guns to stick it together, along with Velcro and snaps. The helmets started out as paper and then was coated with fiber glass and painted. 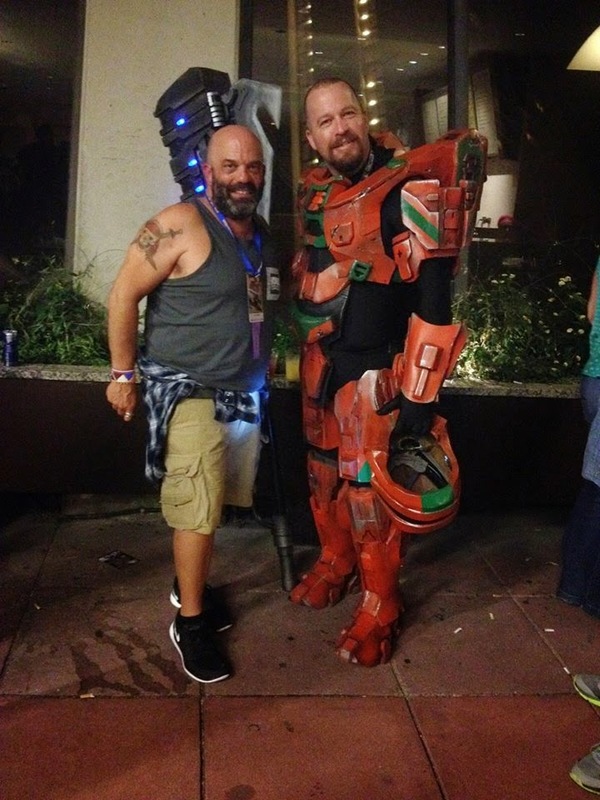 The gravity hammer weapon and the guns are carved and shaped from insulation foam board. 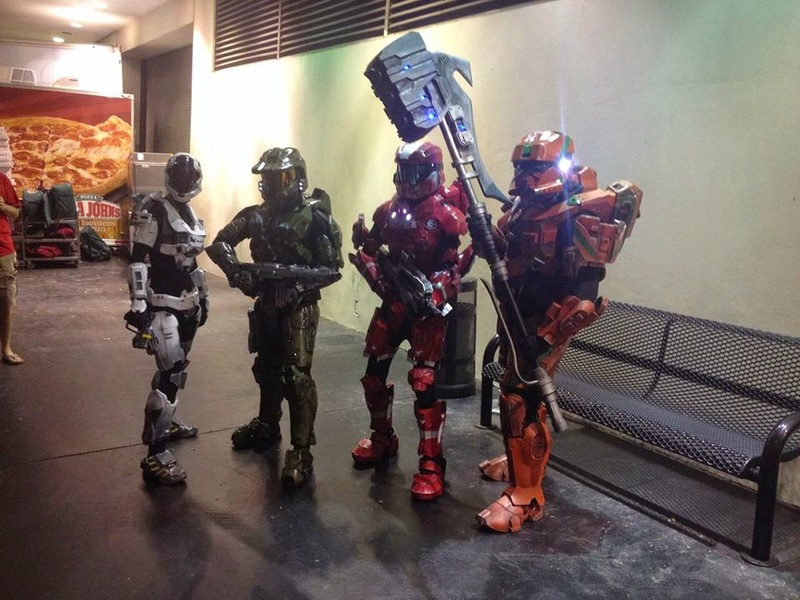 Here they found a couple other Halo Spartans and posed for a group photo. Speaking of photos, it was difficult to even walk around much dressed in costume due to the many, many people wanting pictures. 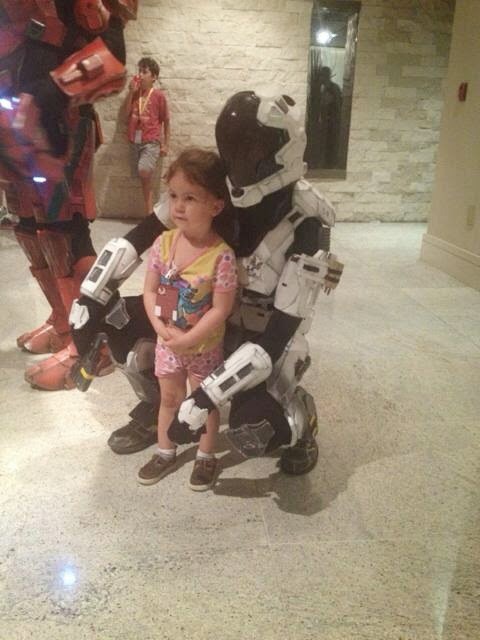 Quinn happily obliged to have a picture made with this sweet little girl. There were also many other people dressed up as every character you could possibly imagine. We all recognize this evil character from Star Wars. Who could this person be? Who said who???? Is there a doctor in the house? Devin also ran into a real life actor that you might recognize from Pirates of the Caribbean. He was very nice and was happy to pose for a quick picture. I like his pirate tattoo. 35,000 people attended this convention, which included work shops and vendors and a costume parade down the streets of Atlanta. My crew had a fun time and they are already planning their costumes for next year. 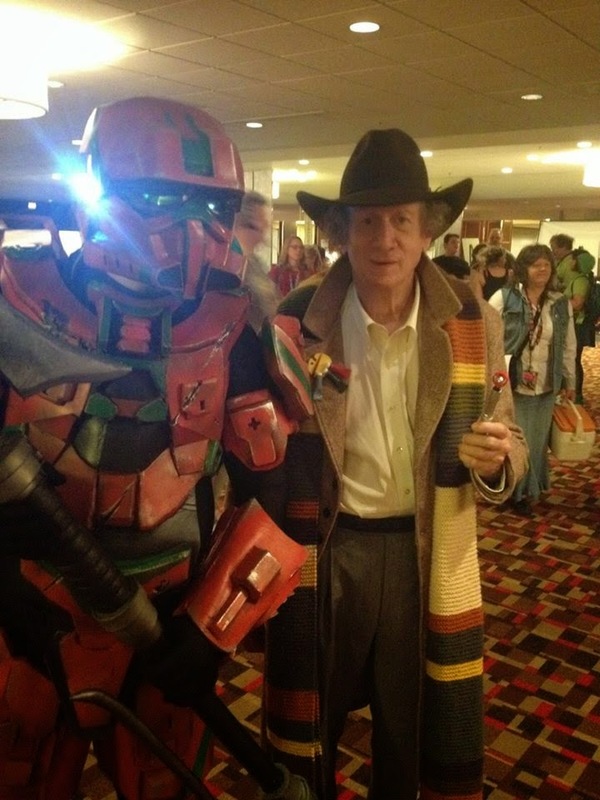 Awesome costumes. 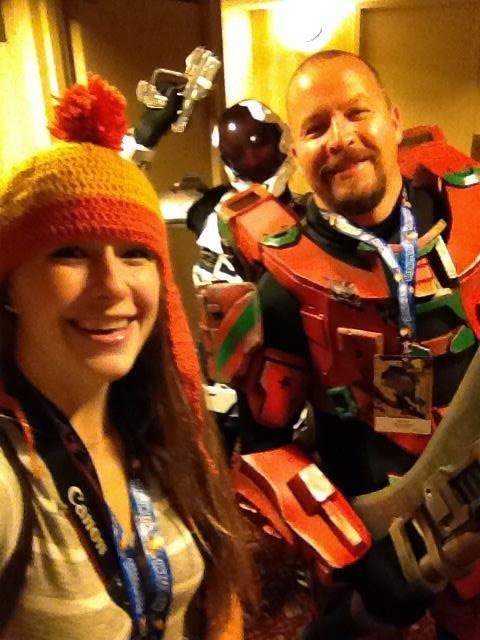 At some point we need to go to Dragon Con. 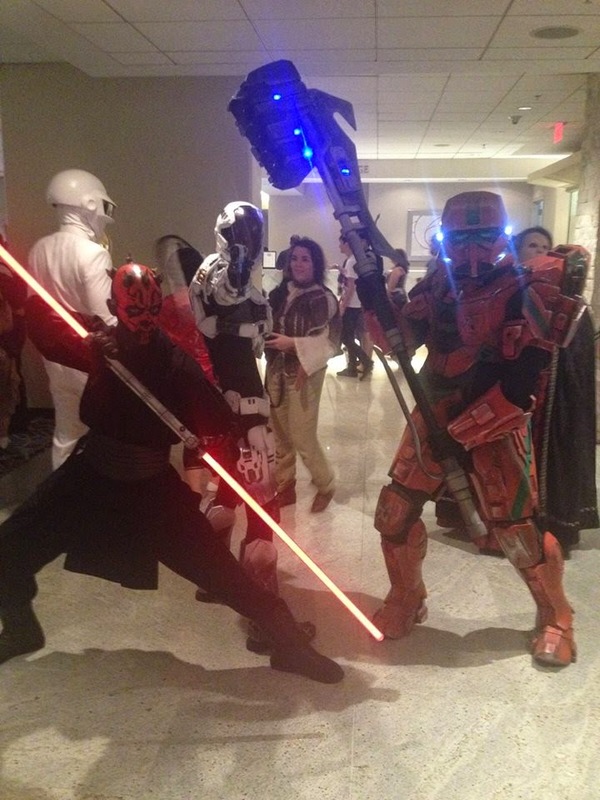 We are gearing up for AWA in Atlanta next month and we always attend Momocon as well.